Quickly and easily convert documents from Microsoft Word to PDF using PDF Creator Plus. With many additional features, this PDF creation software is cost-effective and simple to use. PDF Creator Plus is a complete solution for converting not only Word to PDF but also any file from a Windows application that can print. 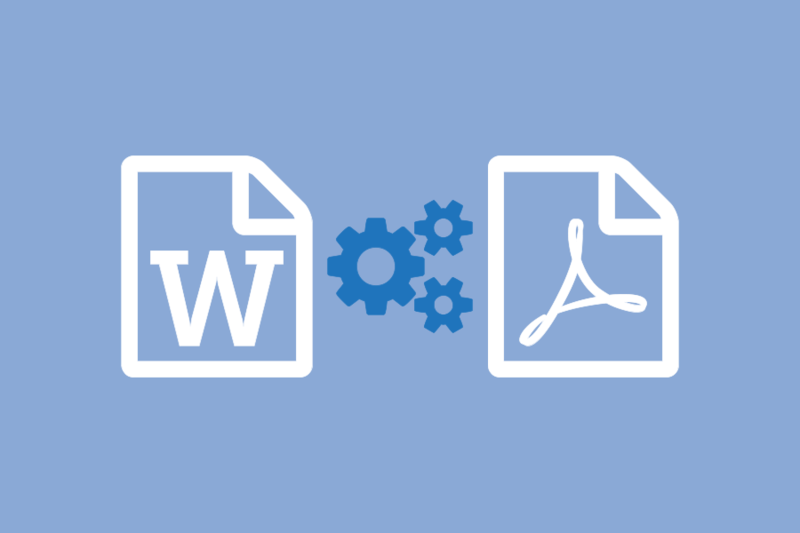 Why Convert Word to PDF with PDF Creator Plus? Download your free trial and install PDF Creator Plus on your computer. As a virtual printer, PDF Creator Plus can create PDF files using the Save As PDF 7.0 Add-In in Word or by simply printing to PDF Creator Plus instead of your normal printer. Open your document in Microsoft Word and select the Save As PDF 7.0 button from either the toolbar or the Add-Ins tab on the ribbon. Hyperlink information from your Word document is always retained and the PDF Bookmark Creation Settings dialog can be used to change any outline levels as desired. Press the OK button to proceed. A progress dialog is displayed while the Save As PDF 7.0 Add-In processes and prints the document to the PDF Creator Plus 7.0 printer. The PDF Creator Plus 7.0 printer sends the printed pages to PDF Creator Plus. Any hyperlinks and outline levels are displayed. To convert Word to PDF now, click on the Create PDF button. If you want to add more pages from other files, leave the PDF Creator Plus window open and use the Save As PDF 7.0 Add-In to send more Word documents, or add pages from other files by printing to the PDF Creator Plus 7.0 printer.